Must just say thanks to Keith Turner(who’s 50th birthday we played in October) for remembering us from playing his 40th. Certainly was a step back in time. Also thanks to Steve Knight for giving us a crack at his Birmingham venue. Experienced our best summer to date with performances on the Eastbourne & Bournemouth Beach fronts being highlights. Thanks to the Stamford Corn Exchange voluntary staff for the professionalism & courtesy extended to us in August. Also thanks to the BBC for inviting us on a number of their shows during 2015. We are looking forward to hooking up with our old friend Alvin/Elvis in February for the “Pop goes the jukebox weekend”. Just to say we have general admission gigs in Birmingham coming up at The Dove House Theatre (9th October) & Oast House (29th November) along with The Towngate Theatre, Basildon (17th October). A thank you to Mark Tarsey in Chichester, Duane at the Beach Hotel & Linda at Roman Park for their hospitality as well as Tony Perrin and the band Embrace for letting us play the headline spot at their secret Knebworth Festival. Also thanks to all who support us at our regular haunts. Another year has flown by and we conclude with thanks to Tom Clark (W.P.S.C), Morton Love and Bary Williams for placing us in the various shows. We enjoyed having Cliff Castle (Elvis) as our supporting act at The Brewery Store and wish him all the best for 2014. We look forward to 2014 and a good night at the forthcoming Boom Boom Club gig (24th January). Summer has come to an end with us completing various wedding and holiday camp engagements all the way from Leeds to Bracklesham Bay. Big thanks to Paul James (BBC Radio) for his reccomendation and hospitality. 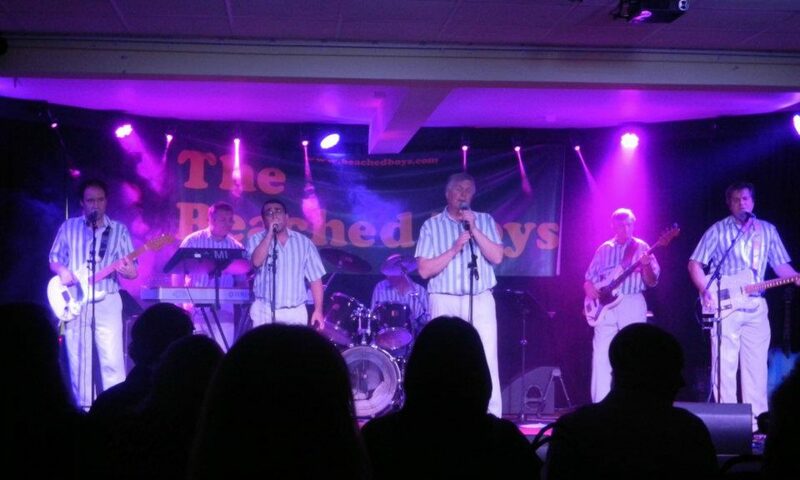 The band has recently returned from the north of England after completing a gig in Scunthorpe and the DW Stadium in Wigan. We are now looking forward to the summer, have a look at the events page to find out when you can see us!